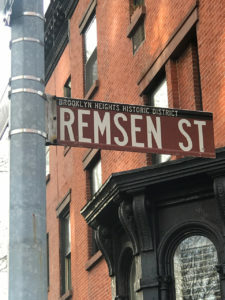 Episode 14 ニューヨークのブラウンストーン　（NYC Architecture Brownstone Buildings) – New York Breeze ! Episode number 14 of The New York Breeze. Good evening. I’m Chris Kan in New York City and hello to my cohost in Japan, Shoko! 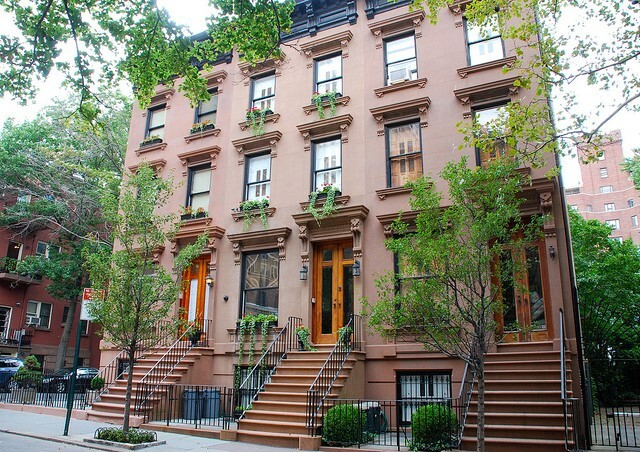 First and foremost, what makes a brownstone a real brownstone? Obviously the pale brown color is an indicator, but that’s not all there is to it. Actually, brownstones are brick townhouses built with a sandstone facade. 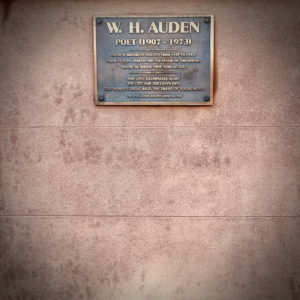 The name “brownstone” comes from a kind of sandstone mined in nearby Portland, Connecticut. The sandstone contains iron ore, which turns brown over time, after it’s been weathered. “neighborhood appeal” is similar to, and I believe derived from, the popular phrase “curbside appeal.” It means building / refurbishing / installing something that improves the neighborhood or a house. 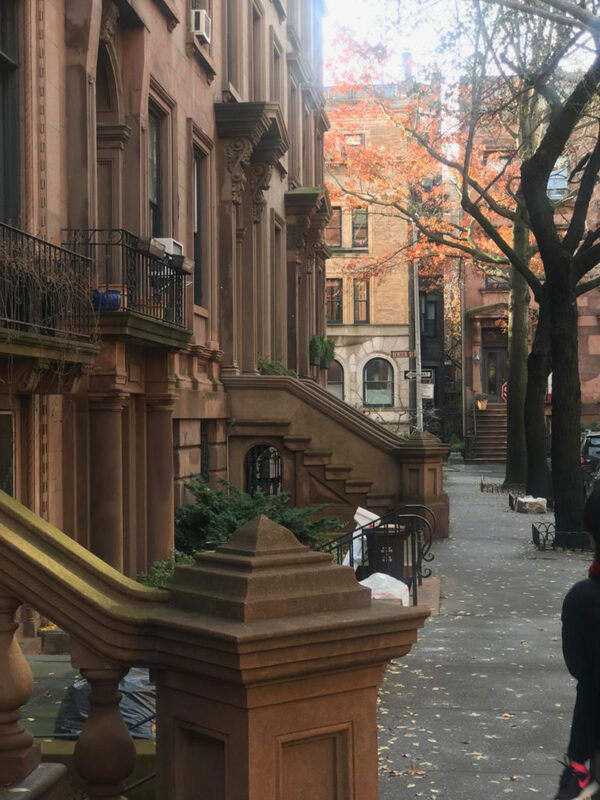 Let me quote from that New York Times story, because it gets to the essence of why brownstones are so beautiful and conjure up envy in our hearts. 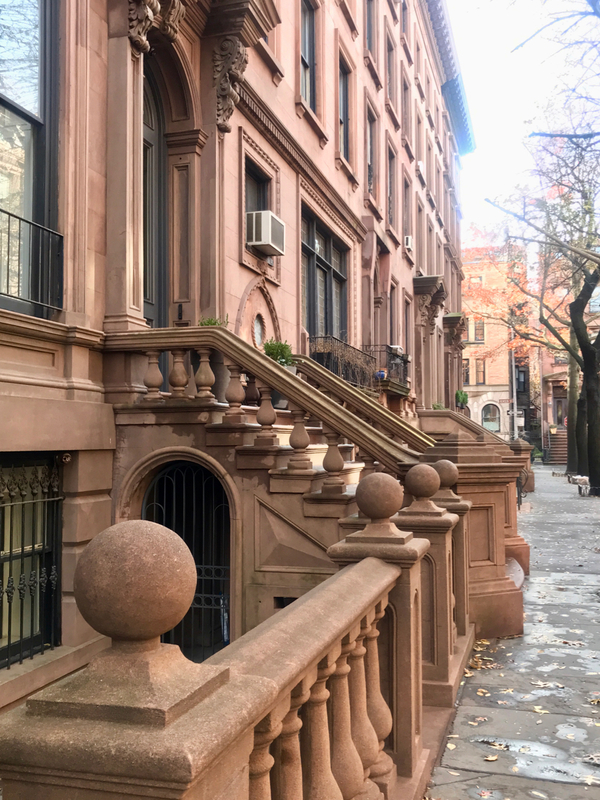 One of the most distinctive features of a classic brownstone townhouse is its stoop. It is both functional and ornamental. Initially, the stoop enabled a second entrance for the help and deliveries. The word “stoop” comes from the Dutch word for “stair.” The Dutch built stoops to raise their parlor floor well above the garden level where flood could occur. “The parlor floor” is the second floor in a townhouse. In its original form, the building’s front steps accessed the parlor floor. The parlor is traditionally the grandest floor in the townhouse and almost always has the building’s highest ceilings. The stoop creates a neighborly flair. In more modern times, the stoop created a place for people to gather and for neighbors to see one another. 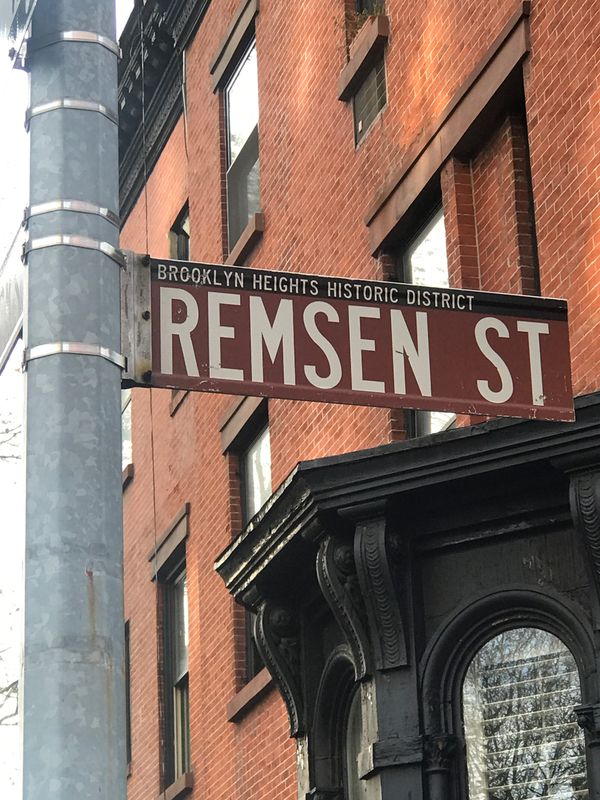 Think of that most friendly of addresses:123 Sesame Street where the characters gather and the show begins to unfold — it’s on the stoop of a brownstone. 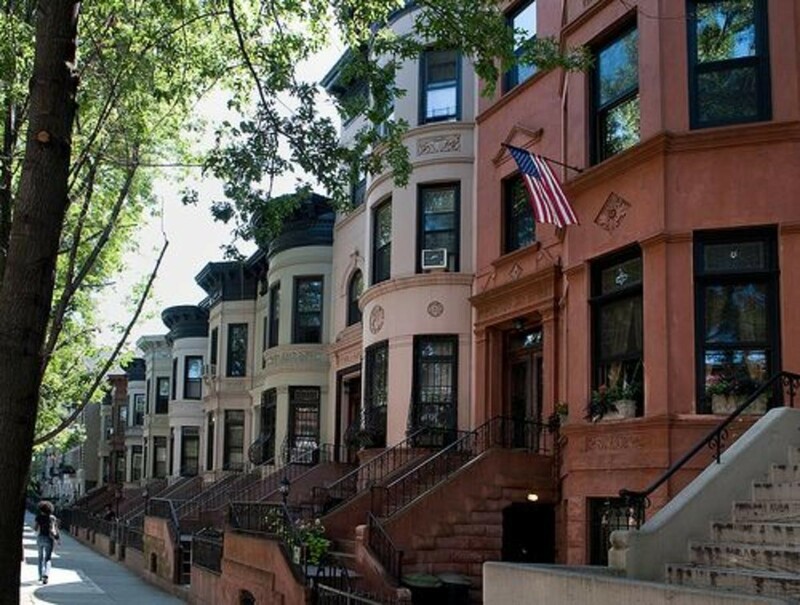 The main areas where brownstones were built are Brooklyn, the Upper West Side and Harlem. You’ll find some in the West Village and elsewhere. Can you think of places in your neighborhood that promote gathering, community and neighborly interaction? 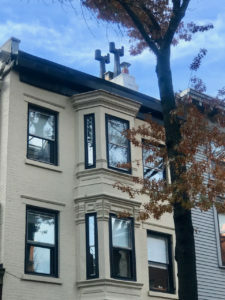 The architectural style of a brownstone is almost always a rowhouse. Neighboring buildings adjoin and create one solid facade. 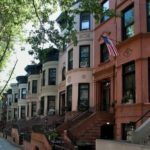 The hallmark of a brownstone is the nearly seamless line between one townhouse and another.Brownstones are typically 3 or 4 stories tall. 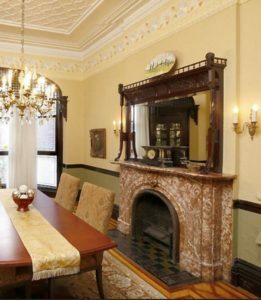 A 19th century feature of brownstones is they frequently have fireplaces. 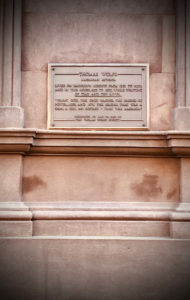 Most of the craftsmen who created the stonework on NYC brownstones were German immigrants. 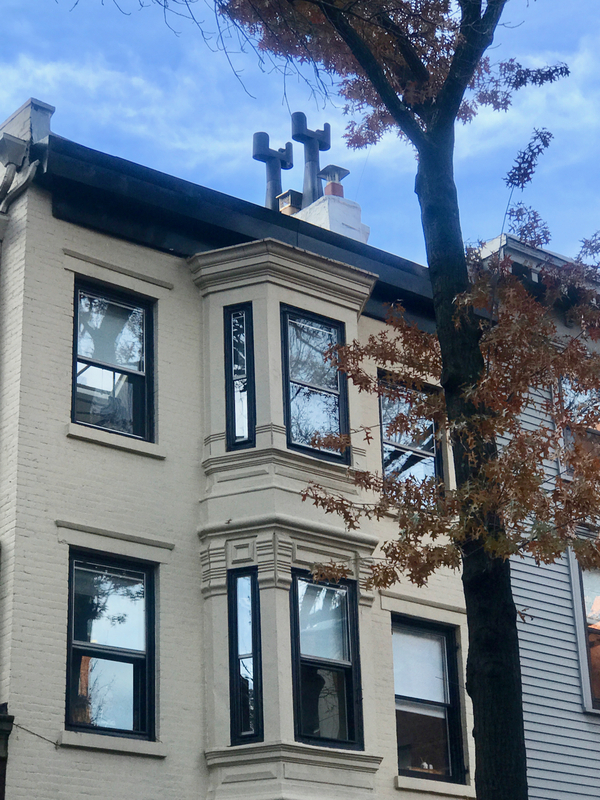 Today, restoring a 19th century brownstone in the 21st century is expensive, and finding skilled craftsmen with integrity is nearly impossible. Most brownstones are Italianate. Some of the later examples, especially on Manhattan’s Upper West Side, were built in the Queen Anne, Beaux Arts, and Romanesque styles. If you could design your dream home, what would it be like? Yes, generally there’s a backyard. Eh, it could be a small garden. Usually there’s some trees. It depends on the size of the lot, how big it’s going to be. 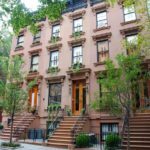 Q: Next question: If one family lives in a brownstone — say from the first floor to the third or fourth floor — is it considered a large home by New York City standards? I’d say yes, definitely. The brownstone is a single-family townhouse. And by city standards they are very luxurious and spacious. Some brownstones have been converted into apartments where each floor becomes an apartment. But if a single family lives in a brownstone, that’s definitely ample space. I’d say yes. Uh, a lot of Americans wish they could visit or even live in New York City. And also by, you know, certain TV shows that feature brownstones as the place of where the show is — or the show or movie is set — it’s iconic. 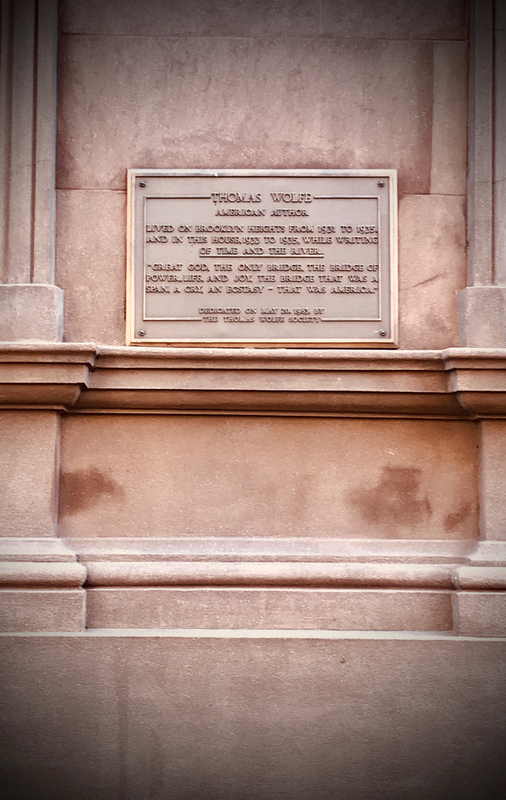 And it’s like the ultimate, you know, to have your own brownstone in New York City. Uh, not for everybody. Some people prefer co-op living. And obviously if you like suburbs or suburban or country living that’s that. But if you want to have a really nice setup in New York City, you can’t get much better than a brownstone. The other thing is, everybody would love to have a, a townhouse, but very few of us have a spare ten to twenty million dollars to buy that kind of home. All right. Thank you for listening and taking time to enjoy our podcast. If you like what you hear, hit that ‘Like’ button, write us a nice review, and get subscribed. Until next time; Peace. 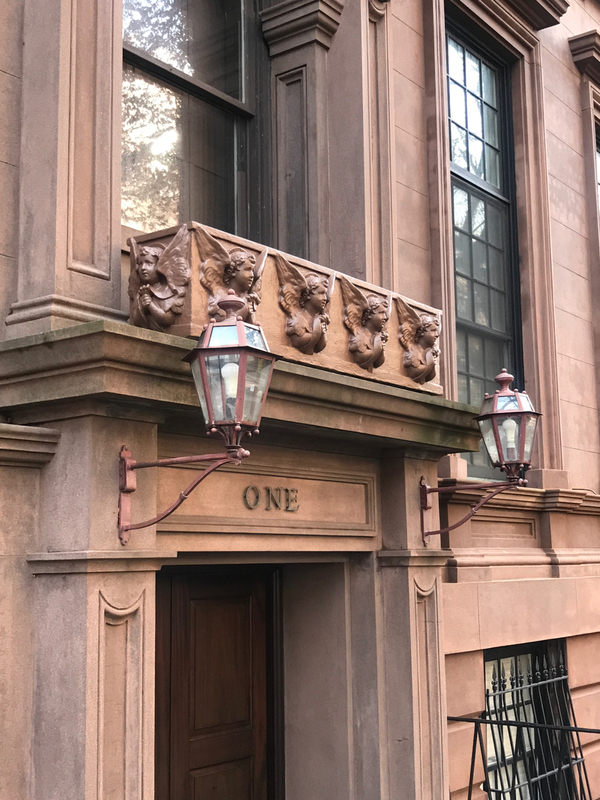 If you want to experience the charm and opulence of a historic brownstone building, then there’s one of a former U.S. President: the Theodore Roosevelt Birthplace on East 20th Street in Manhattan is open to the public most days of the week.